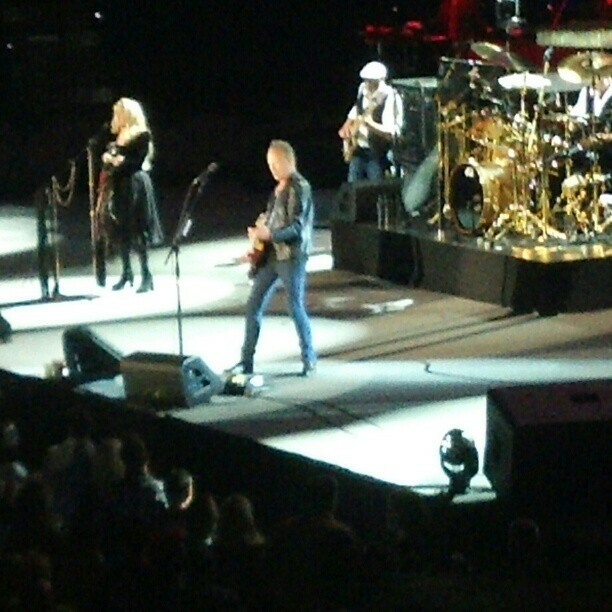 Fleetwood Mac would be nothing without Lindsey Buckingham and Stevie Nicks. 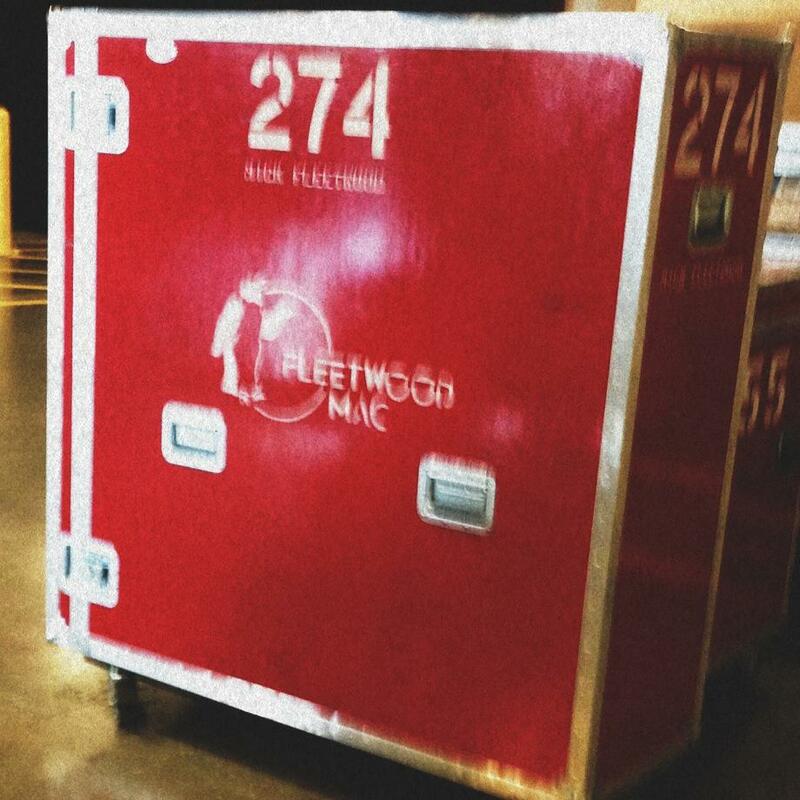 Despite the band’s rocky history, their chemistry on stage is forged in steel. 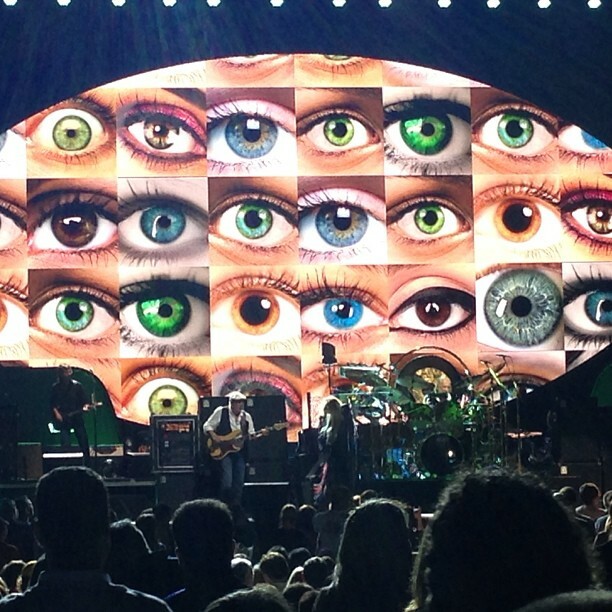 Wednesday night at a tour stop at the BOK Center, Mick Fleetwood fortified his namesake band with solid rhythm, and John McVie held it tight on bass. Strong out of the gate, Nicks and Buckingham harmonized to “Second Hand News,” fans on their feet, Fleetwood and McVie rumbling strong behind them. 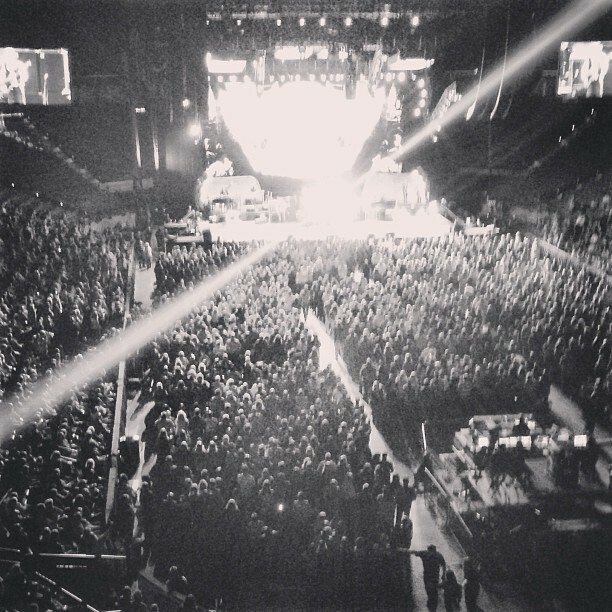 Fans pressed to the stage, hands raised, and sang along. 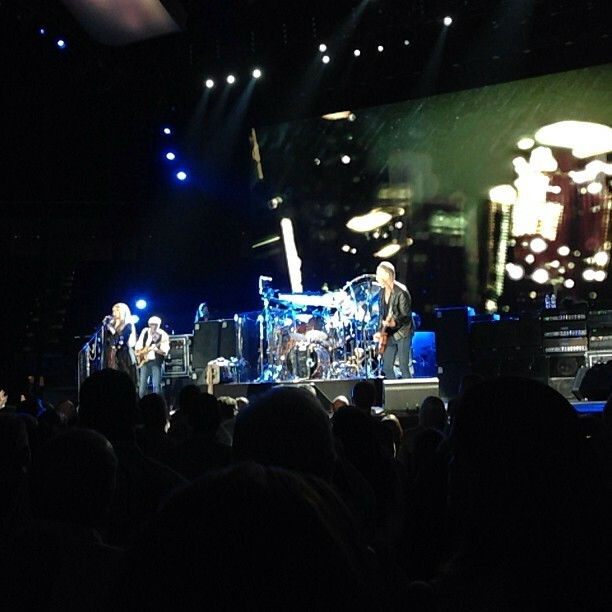 Those fans who weren't on their feet then were by the first few notes of “The Chain,” Buckingham’s finger-pick guitar style texturizing each note with rich emotion. Multiple fingers added voices — harmony — to the band’s own vocals, almost like a multi-track machine. With Buckingham head-to-toe in black, what stood out is his lightning fretwork, again and again through the nearly three-hour set. This version of Fleetwood Mac might as well have a “Lindsey Buckingham with …” in front of it. 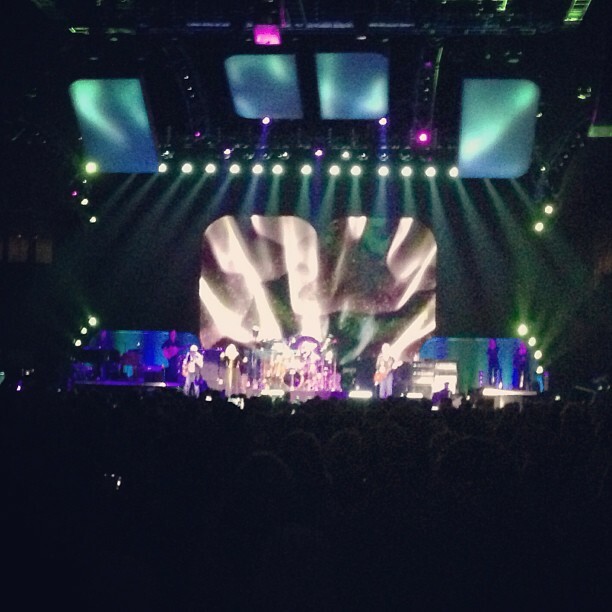 Concert review: Fleetwood Mac at the BOK -- better live now than ever? 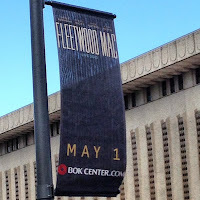 There is a great argument to be made, one completely supported by Fleetwood Mac's immensely skilled and generous Wednesday performance at Tulsa's BOK Center, that Lindsey Buckingham, Stevie Nicks, John McVie and Mick Fleetwood are better live performers now than when they were the biggest band in the world. Listen to 1980's "Fleetwood Mac Live," and it sounds like a talented, enormously successful band exhausted by its circumstances and frayed at the edges. But 33 years later, in front of 20,000 fans, Buckingham and Nicks sounded completely engaged with both the audience and the music they've made together for more than four decades. 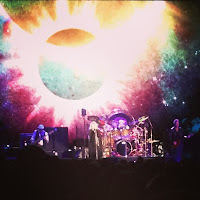 Undoubtedly, the reasons for Fleetwood Mac's current excellence have as much to do with history markers as they do with their present. 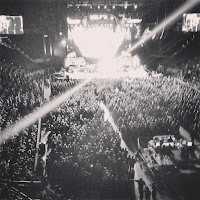 Earlier this year, singer-guitarist Buckingham oversaw the remastering and release of an expanded version of the album that made them superstars, 1977's "Rumours," and they started their BOK Center show with three huge songs from that album: "Second Hand News," "The Chain" and "Dreams." Nicks sounded great -- no key changes were needed to accommodate aging vocal cords -- and her enthusiasm for taking her first lead of the evening on "Dreams" was made clear when she told the crowd, "This party starts now!" Buckingham seemed similarly proud on the next song, "Sad Angel." 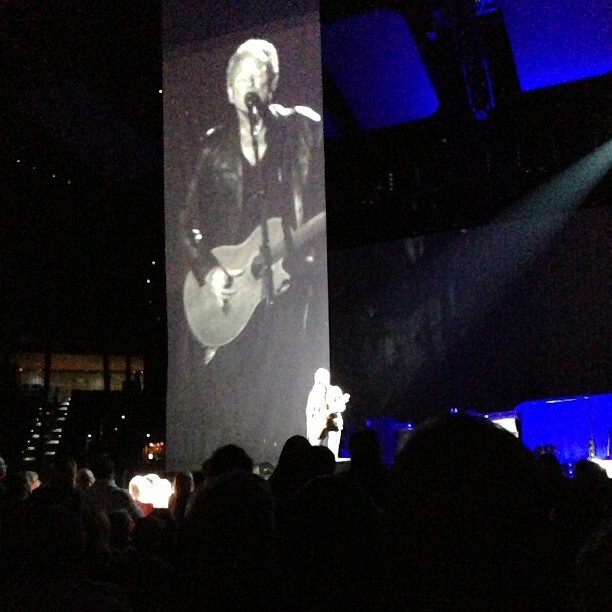 The lead track on "Extended Play," the four-song EP released Tuesday on iTunes, "Sad Angel" might be a song about Buckingham's difficulty in persuading Nicks to record new material, but the uptempo song felt celebratory and meshed well with the classic songs that preceded it, and Buckingham seemed energized by the performance and the audience's response. Nicks returned to her storied classics with 1975's "Rhiannon," then the band dipped heavily into the masterfully ramshackle 1979 album "Tusk," and Buckingham was in his zone. He ripped through "Not That Funny" and "Tusk," then ceded the spotlight to Nicks for "Sisters of the Moon" and a lovely version of "Sara." Granted, the retired Christine McVie will always be missed -- she was a top-notch balladeer with a soulful, rounded voice, the creamy center between two singers with sharp vocal edges. 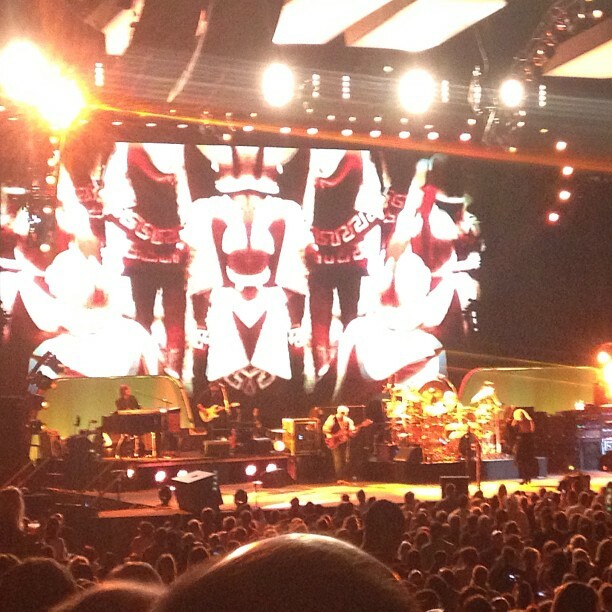 It will always hurt that her repertoire is mostly missing, although Nicks now takes her vocal parts on "Don't Stop." 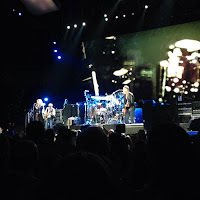 But Nicks and Buckingham always were the stars of this drama, and their trove of great songs and residual tension continues to make a Fleetwood Mac concert an exciting proposition. 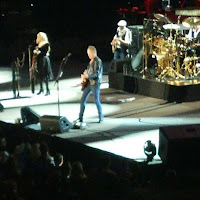 When McVie, Fleetwood and their backup singers and players left the stage to the ex-lovers for "Landslide" and "Never Going Back Again," Buckingham and Nicks bolstered one another's strengths. Their voices blended beautifully on "Without You," a lost pre-Fleetwood Mac song they re-recorded for "Extended Play," and the band all joined together for a strong version of 1982's "Gypsy." But for several memorable minutes, Buckingham stole the show. 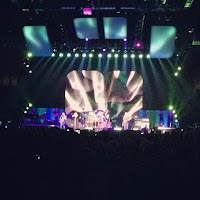 "I'm So Afraid" is not one of the biggest songs in Fleetwood Mac's repertoire, but the closing track from the band's 1975 self-titled album is, in many ways, the quintessential Buckingham song -- paranoia, throaty wailing and thunderous guitar work. 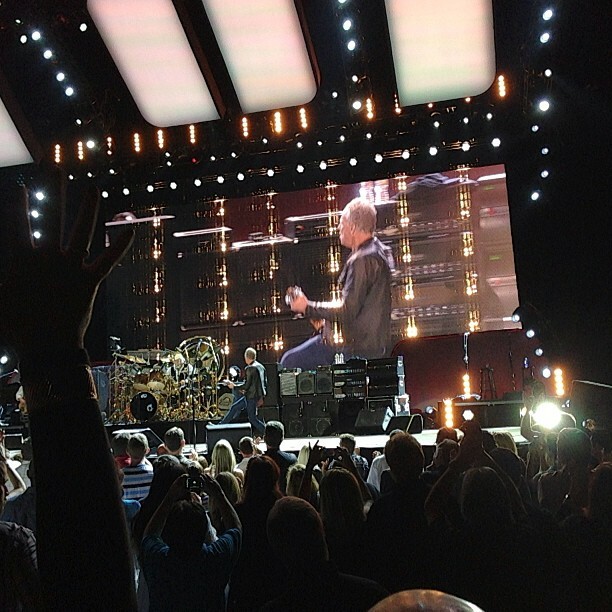 Buckingham completely killed on the ending solo, earning a standing ovation that was repeated with Nicks' solo single "Stand Back" and the main set closer, "Go Your Own Way." 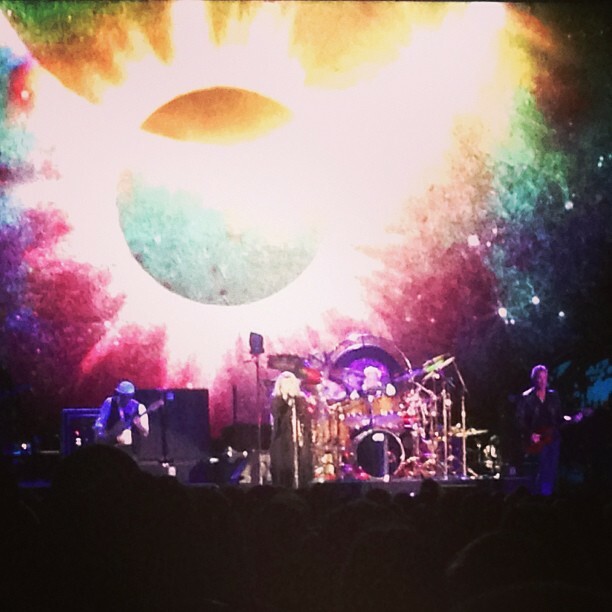 Fleetwood Mac returned for two encores, playing "World Turning," "Don't Stop," "Silver Springs" and "Say Goodbye" before finally saying goodbye after a two-and-half hour show. They were in fine voice and spirits, and the feeling they brought to both old and new material was kind of miraculous for a band that has been through it all.